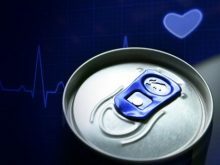 Energy drinks might be tempting when you’re tired but need to keep yourself alert. And to some, they might seem harmless. But are they safe? Is Red Bull bad for you? Or Monster? Or 5-Hour Energy? The medical community recommends that we don’t let such products become a regular habit. Q: My eyes have developed a kind of sticky, scratchy feeling that is really getting uncomfortable. Is this what dry eye feels like?